Sheet masks are another example, now sold by the likes of bigger names like Estée Lauder, these clever little masks are soaked in ‘essence’ (another Korean wonder similar to that of a more absorbic serum). When applied to the skin the goodness of the essence is absorbed and as such your skin gets a treat! 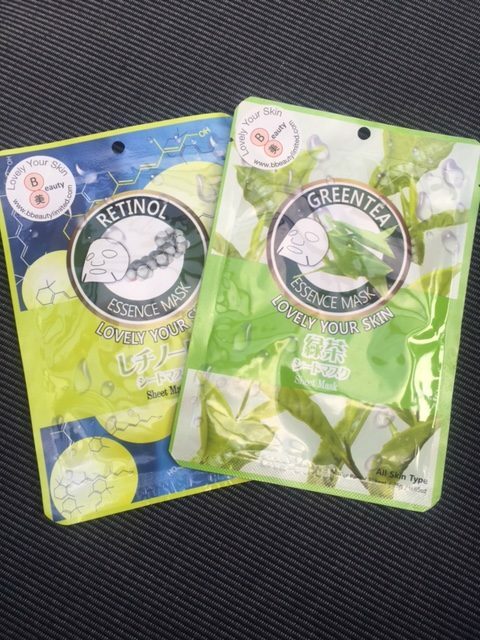 So B Beauty Limited are a company who import the most popular Asian sheet masks, I received the Mitomo green tea, ceremide and the retinol to try – yey! So they stock literally tens and tens of different masks all at £2.49 and all with a different treatment (including the infamous SNAIL mask!). Most also contain Aloe Vera. So how did they work!? Well at the time of writing this I currently have the Ceremide one on my face! Designed to moisturise the skin, Ceramides are a family of waxy lipid molecules composed of sphingosine and a fatty acid. First of all I cleansed and toned …. I took it out of the bag the amount of essence in it is really good to see – the mask is literally sopping (not drippy) but really well soaked there’s even extra in the bag. Unfolding it is a bit of a challenge trying to work out what goes where but once it’s unfolded it’s very obvious what goes where and it sticks to the face very well! … Now at the point of this paragraph I’ve had it on for 30 mins so now I have taken off the mask! The remaining essence left should then be rubbed into your skin and left to absorb. 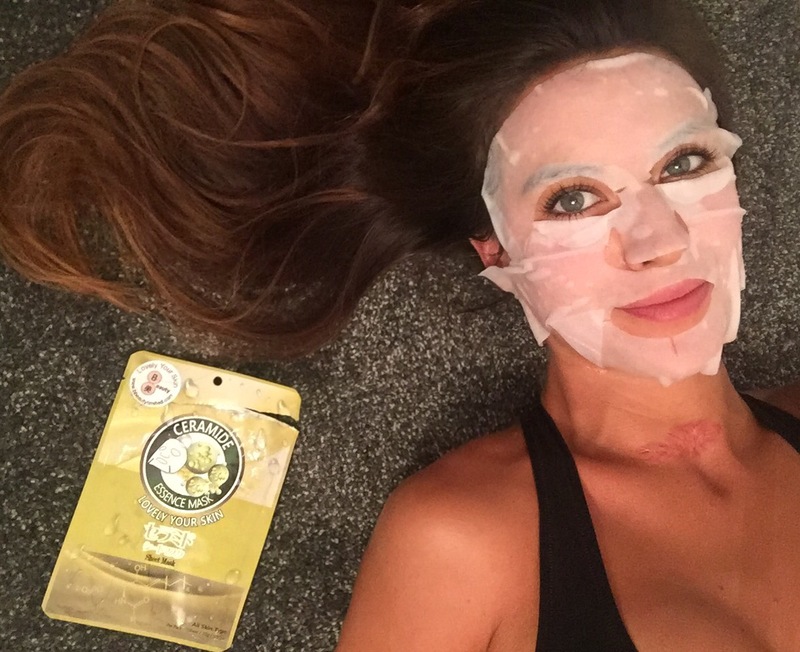 My skin literally feels like it’s had a drink, not only is it so moisturised it’s so plump and Dewey – I think it’s fair to say this is one of the best masks I have used! The difference it’s made to my skin is unreal – I’m definatley a Korean beauty convert.